Standard clear glass was once the only choice available to homeowners and developers. This is no longer that case with a wealth of rated and specialist glazing and framing systems available to suit any project type. 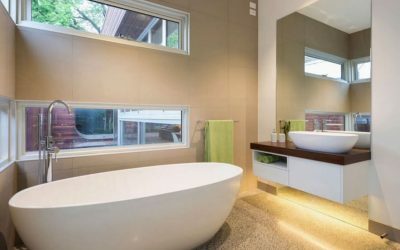 Careful and considered selection of your glass goes a long way to improving the comfort, liveability and energy-efficiency of your home or commercial space. It can also save you money in the longer term, where energy-efficient glazing options and appropriate aluminium framed window and door systems are installed. We can help to customise these systems to the individual needs of the project and/or property. 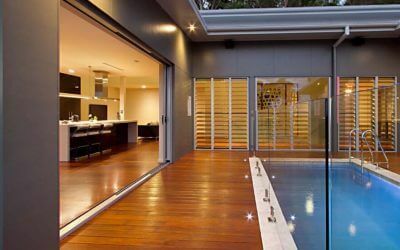 The glass and glazing options outlined below are a selection of the more popular solutions available, with insight provided as to their individual thermal properties. The decision in glass selection is usually one of balance; balancing light, heat and fading control (from UV – Ultraviolet radiation). The greater the light transmission through the glass, the less control you have over heat transmission and fading. A single-glazed window is manufactured using a single pane of glass, meaning that the only protection between you and the outside elements year round, is that single pane of glass. A single-glazed window can be up to 20 times less energy efficient than an insulated wall when it comes to energy loss or retention. Typical window glass ranges from 3mm to 10mm, and depending on the scenario, this often doesn’t provide adequate insulation and may see you wasting valuable energy, leading to higher utility bills. However single-glazing can be suitable for some scenarios where thermal loss and heat transmission is not an issue. It is best to chat with our team to understand the ideal solution to suit your needs. For more information on your available glazing options, contact our team today. These commonly used Insulated Glass Units use separate panels of standard clear glass, produced with a gap of air or gas sandwiched between the two panes. High performance double-glazed windows offer high levels of natural light transmission, combined with outstanding levels of thermal retention and overall better energy efficiency. Double-glazing helps to manage heat flow, keeping your home cooler in Summer and ensuring it’s warm in Winter, but still allowing your room to be bathed in natural light daily. 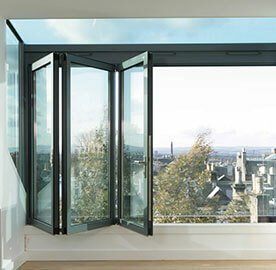 For more information on your available energy efficient glazing options, contact us today. Low-E (Low-Emissivity) glass coatings have been developed as a response to the amount of heat and energy that is leaked through the windows in any space. Low-emissivity glass is more commonly used in commercial applications and is highly effective in reducing solar heat gain. 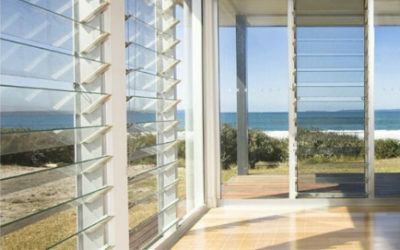 Low-E glass minimizes the amount of ultraviolet and infrared light that is allowed to pass through the pane, without affecting the transmittance of visible light. When glass absorbs heat and light energy, it is either dissipated by moving air or reflected by the glass’ surface. The ability for any material to radiate energy is known as emissivity. Low-E glass looks similar to mirrored glass when viewed externally, resulting from a process whereby a metallic coating is permanently added to the surface of the glass during manufacturing. For more information on Low-E glass options, contact our team today. Sometimes referred to as translucent or etched glass, frosted glass is used widely in commercial and some domestic applications. Frosted glass is often installed where a level of privacy is required; in areas where the use of clear glass is inappropriate or impractical. Frosted glass features an opaque, etched surface or a milky, ‘frosted’ appearance, through which very little can be seen. Frosting can be applied across a wide range of glass types to suit your individual needs and privacy levels. For more information on frosted glass options, contact our team today.